I hope 2013 is being good to you all, how is everyone coping with this crazy weather? Now I'm sure I'm just being a spoiled California girl but it's just darn COLD!!! I do have some cool car shows to tell you about, so let's see if these hot cars can warm things up a bit. And remember, if you have a show or event coming up and would like me to include it in my weekely newsletter just email me at caeperformance@aol.com with all of the details. Also this weekend come out and celebrate "The King" Elvis' birthday at the Bob's Big Boy Car Show and Concert Sunday January 27 at 3521 Hamner Ave, Norco 92860. The car show runs 2pm-5pm and the concert starts at 3pm. You can check out our FACEBOOK fan page for the flyer with all the details. 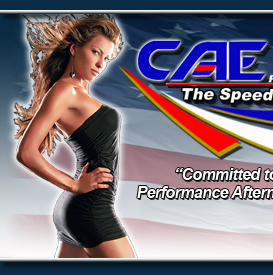 To get to our Facebook page just go to our website at www.caeperformance.com and click on the FACEBOOK icon on the HOME page. Here's a couple of "save-the-date" shows for you, and if you're wanting to start participating in some of these shows watch for info on registrating your car. You can also see a list of many other shows and events going on this month on our website, just click on the EVENTS tab. You can also see photos from previous shows under the SHOW GALLERIES tab or check out some videos by clicking on the YOUTUBE icon on our HOME page.